Asteras Paradise is a newly built complex, tastefully planned according to the local architectural style, with a large central swimming pool. The gardens are planted with trees and flower bushes and offer a lot of space for children's games. Some rooms enjoy an open view to the sea and to Naxos Island. 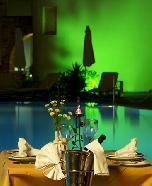 It offers rooms on bed and breakfast basis as well as self-catering studios. 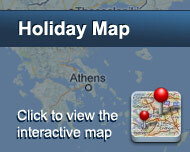 Studios are First Class, according to the Hellenic Tourism Board norms, and rooms are Second Class. All accommodations feature bathroom with hairdryer, Air-condition, telephone, TV, radio, refrigerator and balcony or veranda with sea or mountain view. 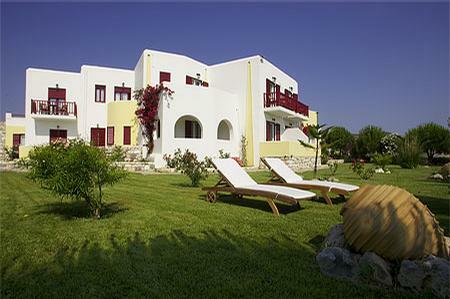 Asteras Paradise is located 5km from Naoussa, on the way to the Golden Beach. The distance to Parikia, the island's arrival port, is 16km. The are particularly quiet and you will find in the near neighborhood a few of the nicest and less crowded sandy beaches of the island, such as Tsoukalia and Glyfades beaches, both with clear waters and exquisite sand, located about 1km from the hotel complex. Είστε ιδιοκτήτης ή διευθυντής στο ASTERAS PARADISE; Εγγραφείτε τώρα για δωρεάν εργαλεία, που μπορείτε να χρησιμοποιήσετε για να βελτιώσετε την καταχώρησή σας και να συνδέσετε την ιστοσελίδα σας και το σύστημα κρατήσεών σας.